Hm, I imagine this has been asked about before but I didn't see it in the 6 pages of comments here. Illumination wand- light balls invisible and unbreakable when not holding the wand. What? I have never seen this reported before and the illumination wand is used a lot. That's really strange. Do you use mods like Optifine or shader mods? Sorry, not a bug report, like the other comment about changing colors I mentioned it's just an idea that hit me when playing. Sure it's more convenient than a torch and floating light balls fit better when paired with other magic mods but it doesn't really look any better to have a tons of white balls stuck everywhere than torches. its stuck in my inventory and it wont let me move it. I restarted the game several times and that wand wont budge from my inventory. Wands disabled in the config are still craftable. But the regular crafting recipe of two cores and three ender pearls still gives me the wand. I suspect this config option just disables random wand spawning in chests. Use Minetweaker to disable the recipe. No, there is a separate config option that is specifically for chest spawns. Setting available=0 should disable the wand completely. I'm almost certain that's how it worked in previous versions. 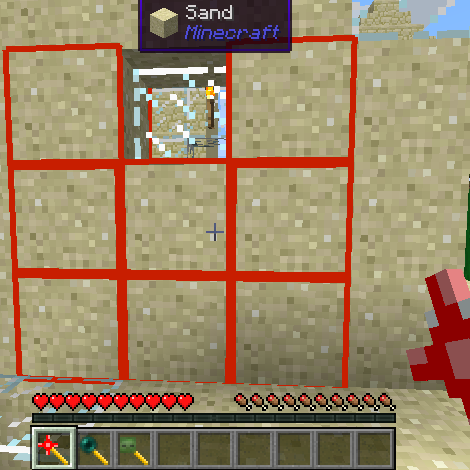 Well, if it isn't then again, use Minetweaker to disable the recipe. Any reason why compatlayer is still required? I'd like to not have to use it just so this mod can run. It's a real pain in the rear. It seems in 1.11.2 that parts of the RF API got merged into Forge as Forge Energy. How do combine a potion with the potion wand? I've found like 10 potion wands in chests and such, but I don't know how to combine the potion with the wand. It says the crafting table but is there only certain potions? A certain pattern? Try checking JEI if you have it, or NEI for earlier versions like 1.7.10. Might help with figuring out the recipes if they're too complex.